BIRKAN Super Goldseal is a compressible blanket for multiple applications on small format presses. It is especially recommended for forms printing on Edelmann narrow web presses. Besides excellent printing quality, the blanket offers another advantage: It can be used not only with conventional, but equally with UV inks. 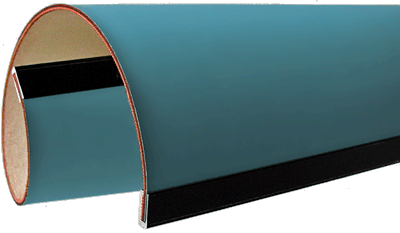 A compressible layer provides high smash resistance and resistance to edge marking, thus ensuring a long run life.